Ten-song solo album released on limited-run CD (7/28/12) and through digital download (11/26/12). Currently available through iTunes and other online music retailers. An acousto-centric homage to the bare essentials of life and the enduring power of love. 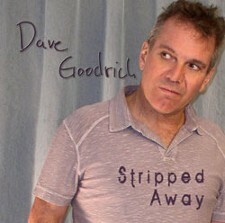 Stripping down to the core of his creative spirit, Dave Goodrich wrote, performed, produced, engineered, and mastered this heart-stroking collection of songs in its entirety at his private studio. Sandra Goodrich provided the cover design, concepts, graphics, and photography, as well as audio consultation.